The 6th International Urban Sketchers Symposium website is now live! Stay on top of news about the 2015 event in Singapore and subscribe to the mailing list. In addition, the call for Symposium programming is now open. Here’s your opportunity to propose a workshop, lecture or other activity at the Symposium. Proposals are due Dec. 22. The Urban Sketchers Executive Board recently held its annual Officer elections. Current Vice President Elizabeth Alley will serve as President for a one-year term beginning Dec. 6, and Gabi Campanario will continue to serve as Treasurer. Jason Das has stepped aside as President. The Vice President position was eliminated. The remaining Officer position, Secretary, remains vacant. "Thanks for a wonderful (and exhausting) year!" Jason said. 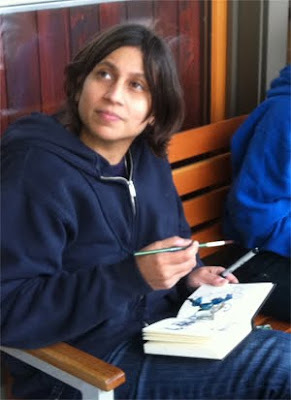 "Urban Sketchers is such an amazing organization and global community. I am honored to have served as Board President. Congratulations to Elizabeth — I can't think of a better person to lead the Board of Directors. As for myself, I look forward to continuing to volunteer for USk for many years, in other capacities." Sunny San Diego (USA) will be the site of the third annual West Coast Urban Sketchers Sketch Crawl Aug. 7 - 9, 2015! "We can almost guarantee bright blue skies and plenty of that southern California sunshine to illuminate your sketchbooks while you capture Seaport Village, Balboa Park and Old Town over three days of fun sketch crawling," said event organizer Jim Bumgarner. Lydia Velarde will be organizing locally. RSVP for this free event on Facebook or the blog, and watch for more details. Urban Sketchers Chile in Santiago at their first sketching event. 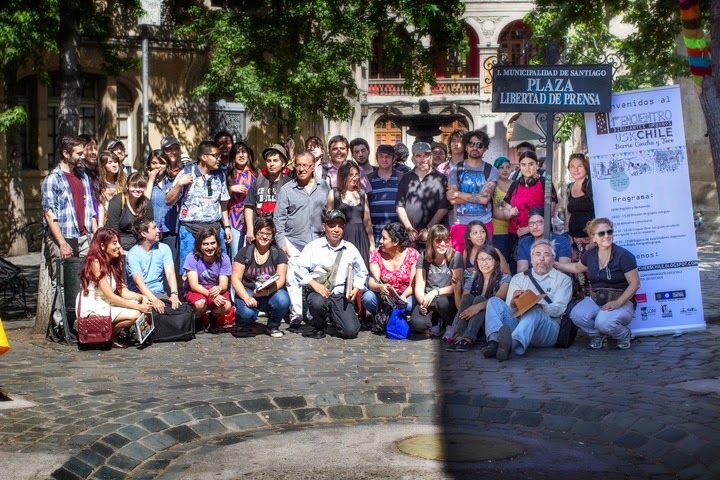 Brand-new Urban Sketchers Chile celebrated the group's formation with a sketching event in downtown Santiago Nov. 8. More than 60 sketchers participated in workshops and received gifts from local sponsors during the all-day event. "We exposed our work in a public space so participants and passersby could watch the sketches," said Rosario Muñoz Gajardo. Work from the day will be exhibited during an event in the same neighborhood Dec. 13, and sketchers will take advantage of the opportunity to do more sketching. Welcome the group to USk by viewing sketches on Facebook and its new blog. A great video shows the participants in action. 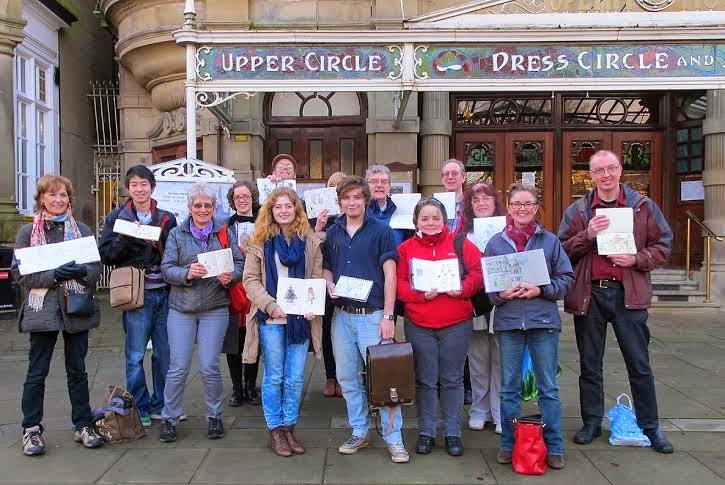 Lynne Chapman reports that Urban Sketchers Yorkshire (UK), which has been meeting monthly for more than four years, just celebrated its 50th sketch meet. Urban Sketchers Yorkshire celebrated their 50th sketch meet. North Central Florida (USA) Urban Sketchers is becoming more active, says Lee Kline. The group sketches from Ocala in the north to and including Orlando to the south. Get in touch with Lee with your ideas and for more information, and check out the group's blog and Flickr group. 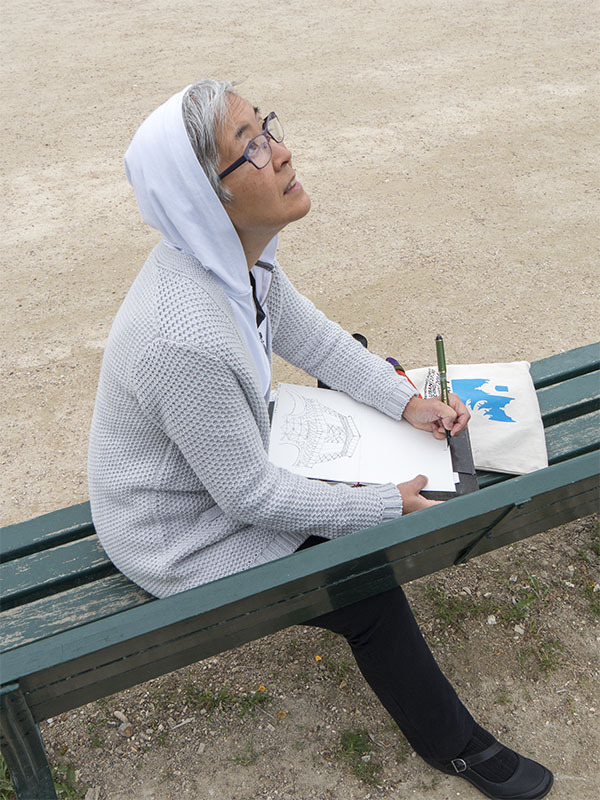 Urban Sketchers France was featured twice in the local news last month about the group's sketchout in Cahors, a small town of 20,000 residents, said Sylvie Bigoudene. USk Kuching (Malaysia) and the Sarawak Heritage Society collaborated on an event Nov. 21 to promote heritage awareness. "Just like the Sarawak Heritage Society, USk documents the life and scenes around Kuching, preserving the stories with it," said Peggy Wong. Including about 20 sketches, the week-long exhibition also showcased urban sketchers' art tools and sketchbooks. The Borneo Post gave the event coverage twice. Sketchers at ComicNostrum in Palma de Mallorca. USk Spain members Catalina Rigo and Feliu Renom recently participated in ComicNostrum, a week devoted to Comic Art in Palma de Mallorca, to talk about Urban Sketchers and invite people to join. "Eighty people participated, and we had a wonderful time," Catalina said. Berlin urban sketcher Detlef Surrey and his wife happened to be visiting the island at the time, so they joined the fun. "It was nice meeting him and explaining to the audience how USk serves also to make new friends," she said. 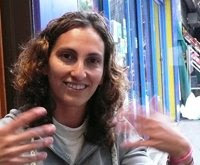 She hopes to see an USk group form in Palma de Mallorca. 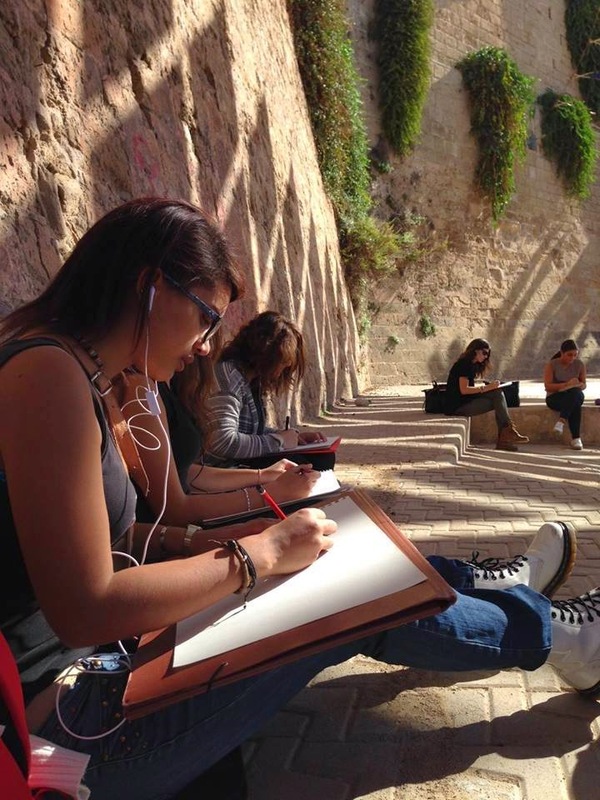 USk Spain's online publication, SKETCHER, is looking for submissions by urban sketchers worldwide. Previous issues have featured only Spanish sketchers, Juan María Josa said, but editors are looking for wider participation in the next bilingual issue, which will focus on Madrid. To submit work, drop images in the Urban Sketchers Spain Flickr group discussion thread. Editors will contact selected artists. Distributed online free, the publication is produced by volunteers. Check out the most recent issue of SKETCHER featuring Galicia. found a comfortable place to sketch! More news from Spain: Urban Sketchers Málaga had a group exhibition at Visual Málaga to celebrate its fifth anniversary, said Luis Ruiz. Four sketchers originally met to sketch together, and now the group has 50 members. 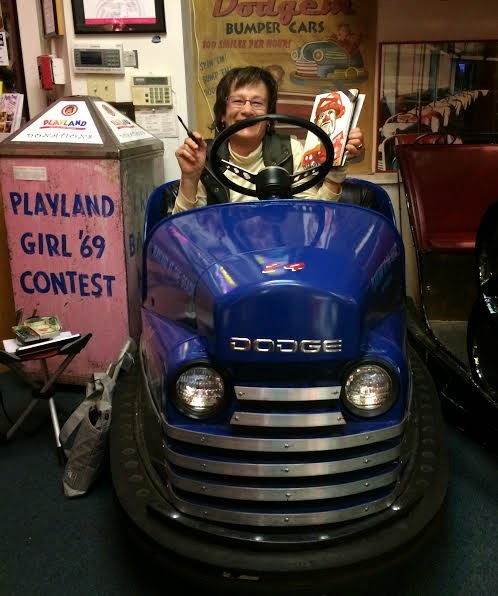 San Francisco Bay Area (USA) Urban Sketchers recently sketched at Playland-Not-At-The-Beach, which is a Museum of Fun with exhibits that celebrate the magic and history of America's bygone amusements. Sketches from the evening are on the group's blog. Birmingham (UK) Urban Sketchers is just over one year old, says Tim Richardson. 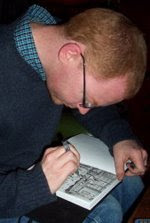 "We've taken part in the 42nd, 43rd, 44th and 45th World Wide Sketchcrawls as well as four Birmingham sketchcrawls (including one in Lichfield which I hereby grant honorary Greater Birmingham status) and two others - Sarehole Mill and Stirchley," Tim said. He invites everyone to check out their sketches on Flickr, Facebook and the blog. Oops! The November Drawing Attention incorrectly reported that sketchers in Hawthorn were showing work in "Urban Sketching in Boroondara." The exhibit is actually of sketches by Melbourne (Australia) sketchers. The editor regrets the error! See a brief video of the exhibit, ongoing through Dec. 6. Simo Capecchi just opened an exhibit of new work from her "Vertical Naples" series. On view through Jan. 29, the exhibit is at Trame Libreria bookshop in Simo's hometown of Bologna, Italy. San Diego (USA) USk founder Lydia Velarde's sketches were recently featured in the publication 92064. The article mentions San Diego USk, now 280 members strong, and how the group is an opportunity for her to share her love of sketching. Sketch journalist Richard Johnson gave a moving and inspiring TED talk, "No place for a civilian," about his experiences sketching in the trenches of Iraq and Afghanistan. Luis Ruis's new book of Málaga sketches. 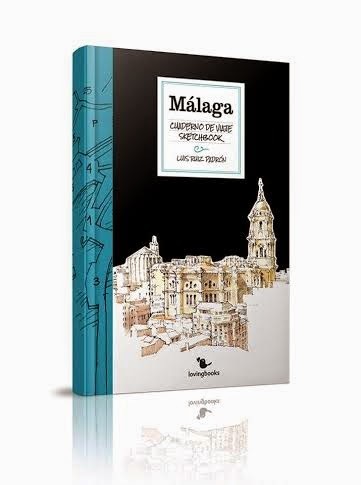 Luis Ruis has published a new book called Málaga, cuaderno de viaje - sketchbook, containing urban sketches of the city of Málaga. Carnet de Voyage | Côte d'Ivoire by Portuguese urban sketchers Mário Linhares and Ketta Cabral Linhares won the Coup de Cœur prize in the International Sketchbook category at the Festival Il faut aller voir - rendez vous du carnet de voyage of Clermont-Ferrand, France. 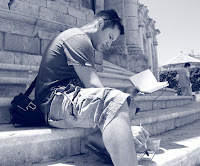 Marc Taro Holmes will be teaching a sketching workshop in Cortona, Italy, June 6 -13, 2015. "We'll travel with our sketchbooks, re-invigorating our drawing skills, using pens, brushes, ink, and painting in watercolors!" Marc said. Enroll by Dec. 31 for a discount. Galway (Ireland) urban sketcher Róisín Curé has an article in Discover Art's latest drawing-themed digital edition, edited by James Hobbs. The issue also includes coverage of the Urban Sketchers Symposium in Paraty. Sketch by Róisín Curé in Discover Art, a digital publication.